The Scholars, Dr Julie McIntyre, Professor Scott Donne and Professor Philip Dwyer, will spend up to six months in the USA sharing their knowledge, collaborating with academic colleagues and engaging broader USA communities through workshops, seminars and public lectures. The Fulbright Program is the flagship foreign exchange scholarship program of the USA, aimed at increasing binational research collaboration, cultural understanding, and the exchange of ideas. Electrochemist with the School of Environmental and Life Sciences, Professor Scott Donne, and founding Director of the Centre for the History of Violence at the University, Professor Philip Dwyer, will each be awarded the Fulbright Senior Scholarship. Professor Donne will visit Argonne National Laboratory in Illinois to collaborate with Dr Chris Johnson on the development of advanced materials used to power electric vehicles. He will also be hosted by Professor Bruce Dunn at the University of California to explore the mechanistic understanding of energy storage in electrochemical capacitors. Professor Dwyer will be based at the University of Illinois at Urbana-Champaign, where he will develop his ideas around violence and gun violence by comparing and contrasting culture and society in Australia and the USA. Working with Professor Mark Micale at the University of Illinois, Professor Dwyer will also facilitate the establishment of further collaborative opportunities. Senior Lecturer in History with the School of Humanities and Social Science, Dr Julie McIntyre, will also receive a Fulbright Senior Scholarship to study connections between America and Australia in the grape and wine sciences since the 1950s. Dr McIntyre will travel to the Shields Library, University of California in Davis, to trace binational innovations in modernising wine production. 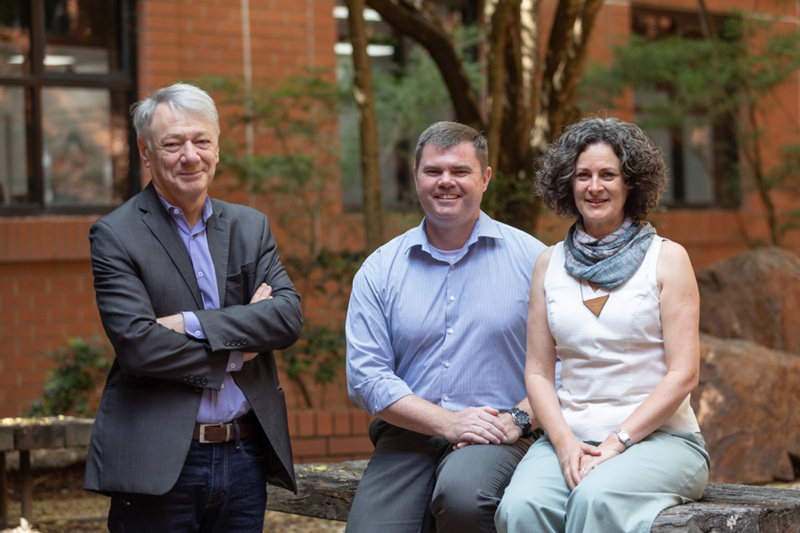 Acting Deputy Vice-Chancellor Research and Innovation, Professor Deborah Hodgson, said it was a significant achievement that three University of Newcastle researchers were selected to be part of one of the most prestigious international research exchange programs in the world. “Our involvement with the Fulbright program is a reflection of our commitment to improving our global connectedness, and is testament to our world-class research,” Professor Hodgson said. The scholars will be officially recognised at the 2019 Gala Fulbright Presentation Dinner, held at Parliament House in Canberra on 28 February.